5 Bedroom Semi Detached House For Sale in Liverpool for Offers Over £280,000. Entwistle Green are pleased to welcome to the market this five bedroom semi detached property, situated off Hartington Road. 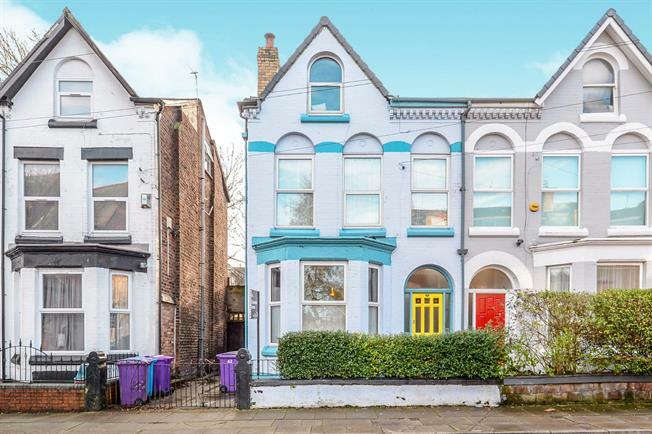 Located close by to many local amenities, including shops, schools, churches and Sefton Park. There are also excellent transport links. The property is beautifully presented with many original features and provides the perfect family home with the excellent room sizes. This large semi detached home briefly comprises of an entrance hall, two reception rooms and a kitchen/diner and a downstairs WC/utility to the ground floor. To the first floor, there are three bedrooms and a family bathroom. To the second floor, there are two further bedrooms and a shower room. Externally, there is a rear yard.